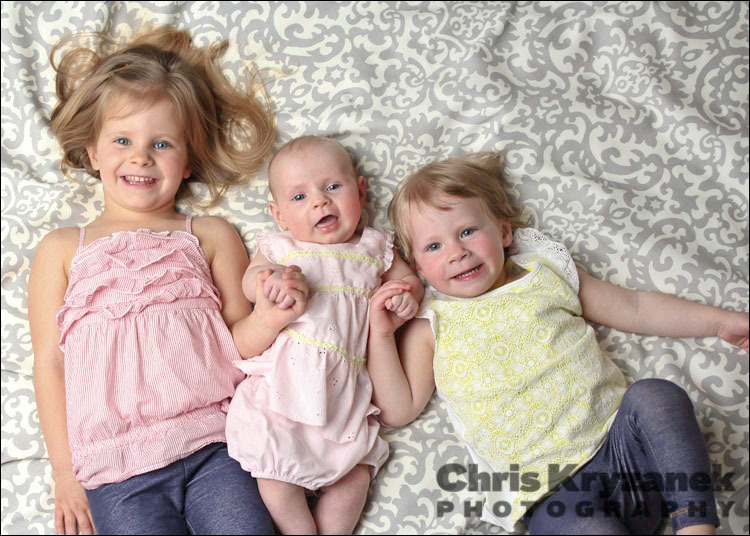 Yes it's true we seem to be getting closer and closer to the actual arrival day of the triplets every day. 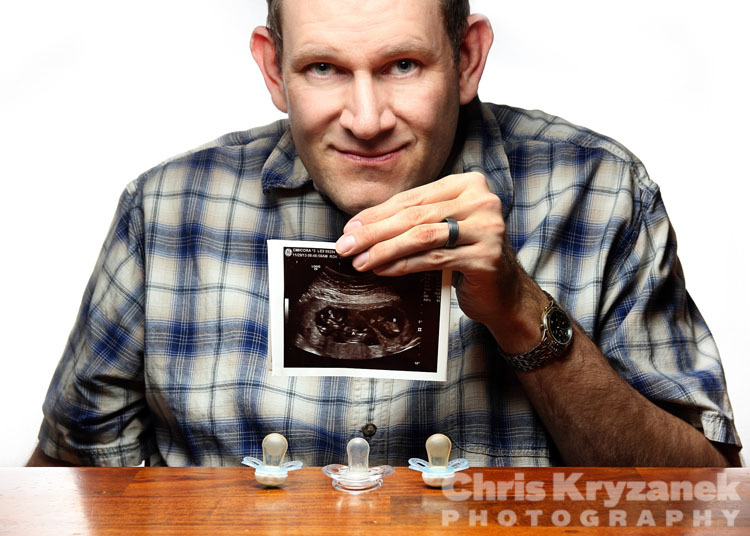 Recently, Sara and I went in for our 20 week ultrasound test. We got the news that the three babies were all girls. Wow. For the two boys of myself that means we're soon to be outnumbered. Also, we should plan on a lot more pink around the house. We are now in the heavy planning stage looking for everything in sets of three, such as car seats, cribs, strollers, etc. Of course with three of everything that also means we have to plan for a lot more space being used up. Ahhhh, the challenges are sure going to add up. Keep tuned in, plenty more fun in store. Looks like our family is about to double in size. 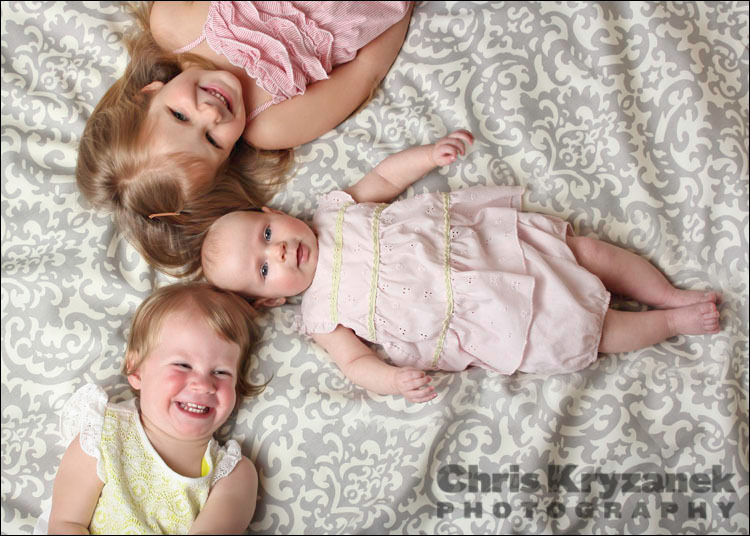 When Sara and I found out we were pregnant again, we got our heads wrapped around the idea of going from two young children to three. Not exactly an easy task, but doable. However we got a huge surprise from Sara’s first ultrasound test. She knew something was up when the ultrasound technician asked if she had been talking fertility drugs. Sara asked “why?”, and the technician told her to get ready for a surprise. I was actually at home for this appointment (with the boys), since it was supposed to be a pretty simple - just making sure things are okay ultrasound test. So, Sara was there by herself when the technician said “Here's baby A, baby B, and baby C”, which was quite a shock. Sara said the technician said she had a better response than most women who find out they are having multiples and usually utter profanity or cry. Not exactly the most brilliant response, but it was very unbelievable news, given that this sort of thing doesn’t normally happen (trust me or google it). So after finding out a little over a month ago we are quickly trying to figure out what this does actually mean. I plan to share more of this journey as we move forward. Get ready for a wild ride. 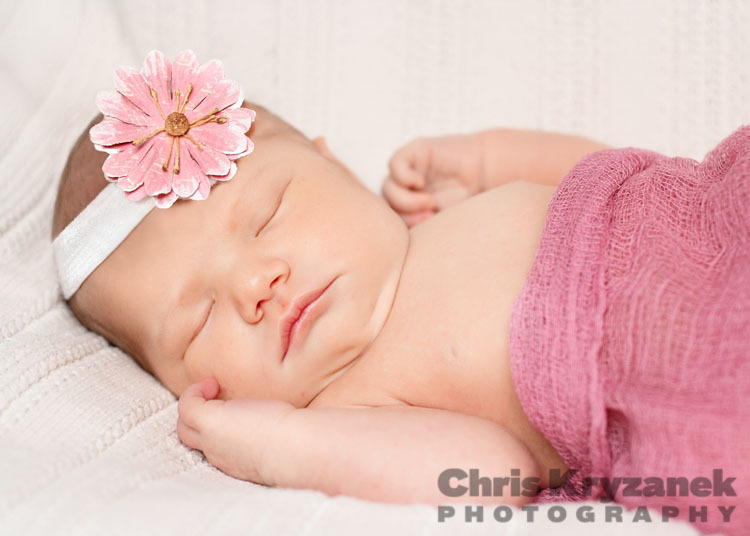 Recently I photographed Anastasia, a beautiful baby girl (at just five days old). This was an on-location session, and with that there's always some unknown factors (temperature, noise, space, etc...), but honestly my two-scene setup didn't take up too much floor space, it was plenty warm with the heat cranked up into the high 80's, and my portable speaker was cranking out white-noise, so generally we were good to go. 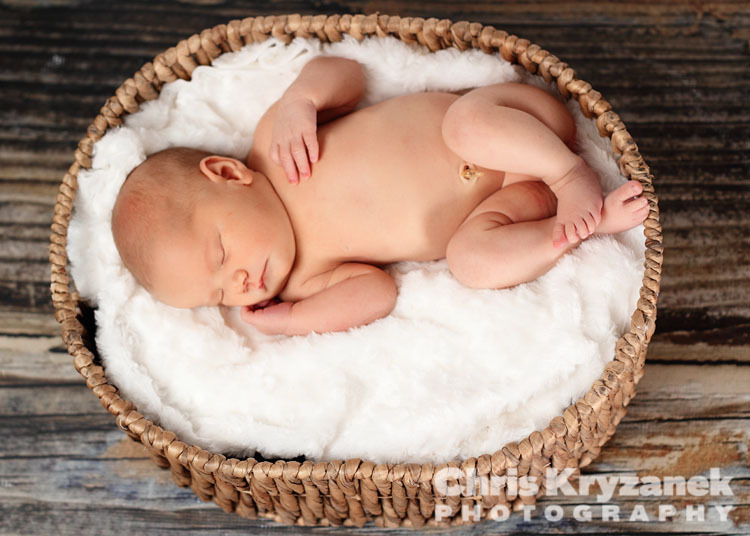 One of the uncertainty factors of any newborn session is how sleepy the newborn will be. 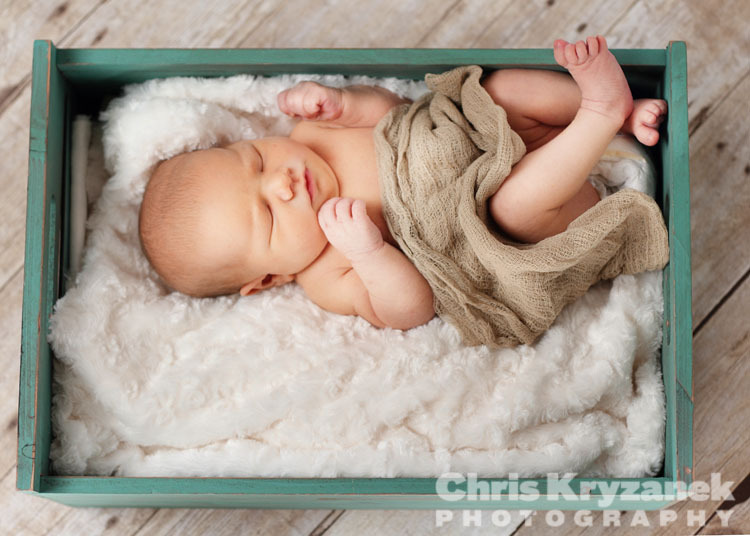 Typically, newborns like to party all-night and sleep all day, but that's not always the case. Anastasia wasn't as sleepy as we hoped. So, lots of calming down and soothing techniques were required. 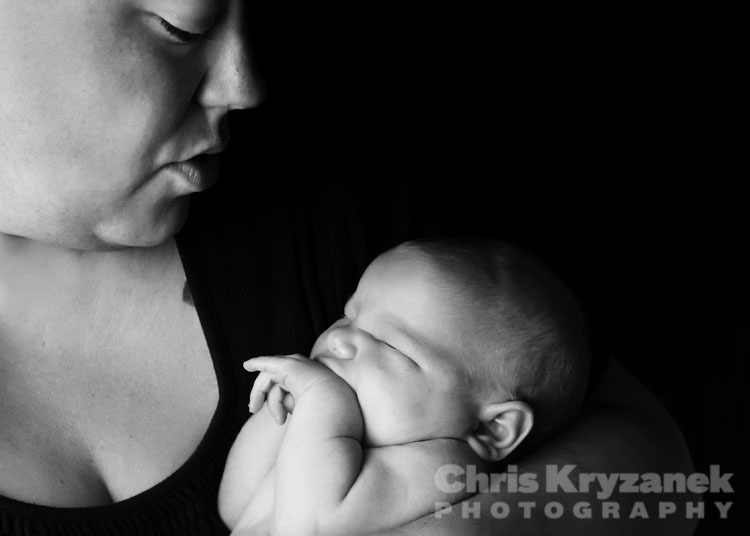 I truly believe that every newborn session needs to include the parents in some way. 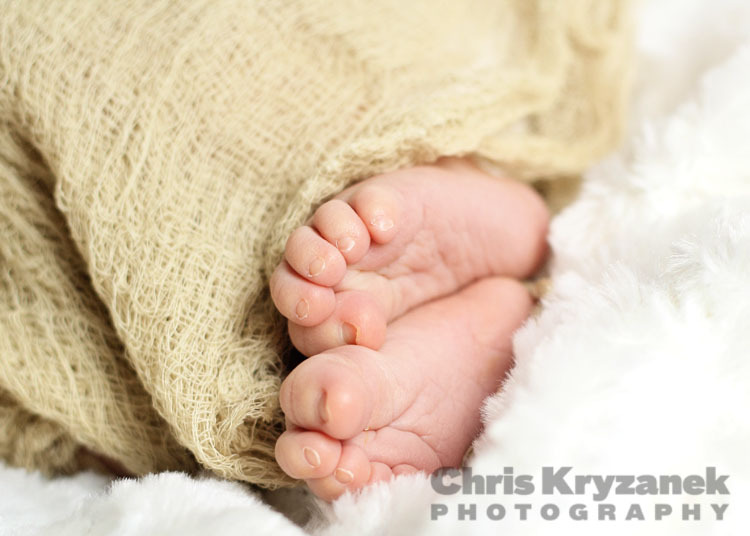 It's a great way to show the parent's connection and give a sense of scale on how tiny the newborn is. 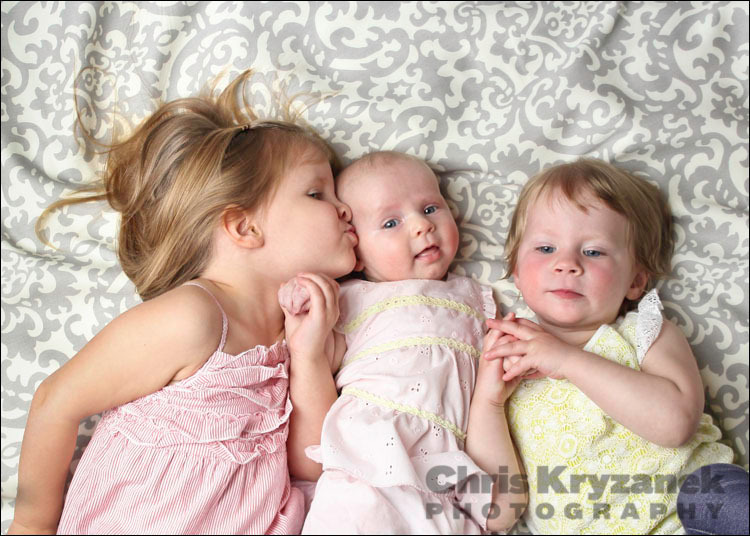 The great thing about these poses is that either parent can do them. And most of these poses won't reveal that you're tired from sleepless nights. Of course the connection from Mother and baby always makes a beautiful image. 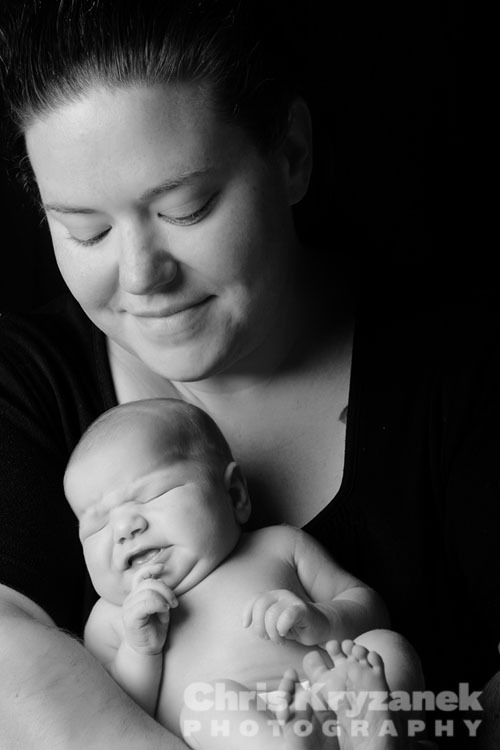 The 6 to 8 month session is great time to show off milestones in the first year for a baby. 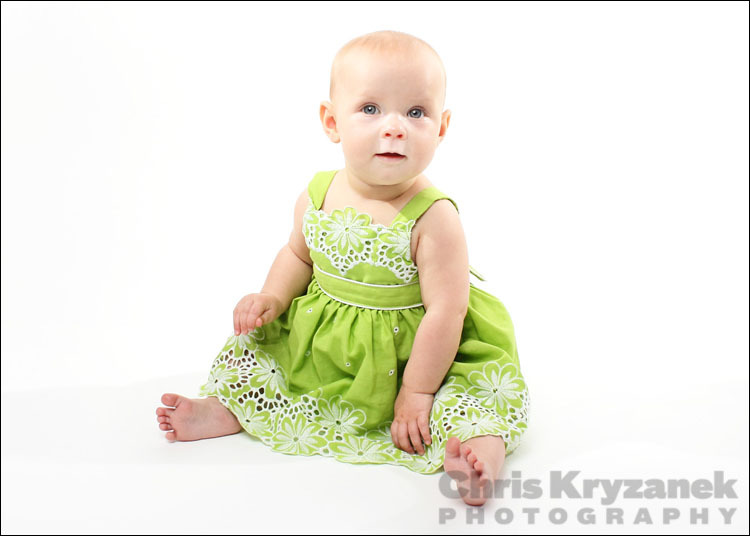 For Magnolia, she was able to sit up, so it was the right time to have her next photo session. It's amazing how in just a few months, so much change happens. The first year of growth for your baby goes so fast. Trust me, it will be over before you know it. 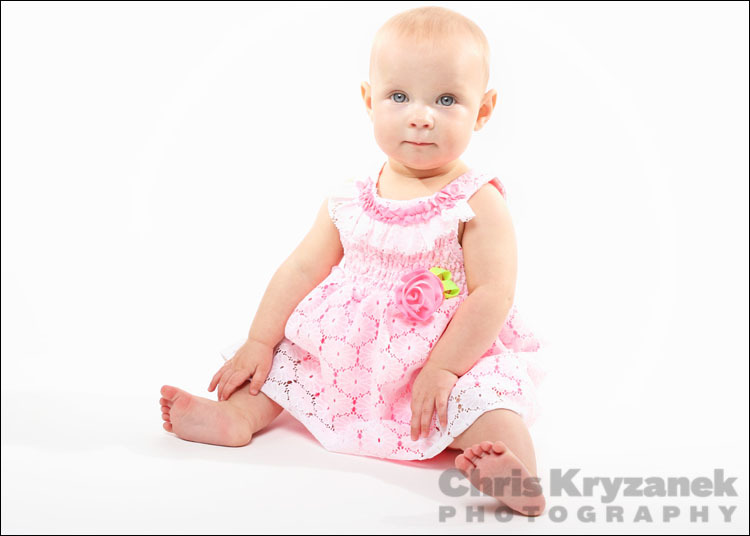 A simple white seamless background was setup on location to bring a classic studio look to the photos and really just focus on Magnolia and her expressions and sitting poses. Of course babies don't just sit there around this age. There was plenty of repositioning her after she would crawl away. This is also a point when they start to have opinions about props like hats, or hair bands, and try to take them off as soon as they are put on. A very fun session with a lot of energy. The parents also get to be very involved in the baby wrangling. So it's time to wave goodbye for now, until next time. One of the most precious times for a mother is when she is carrying her child. 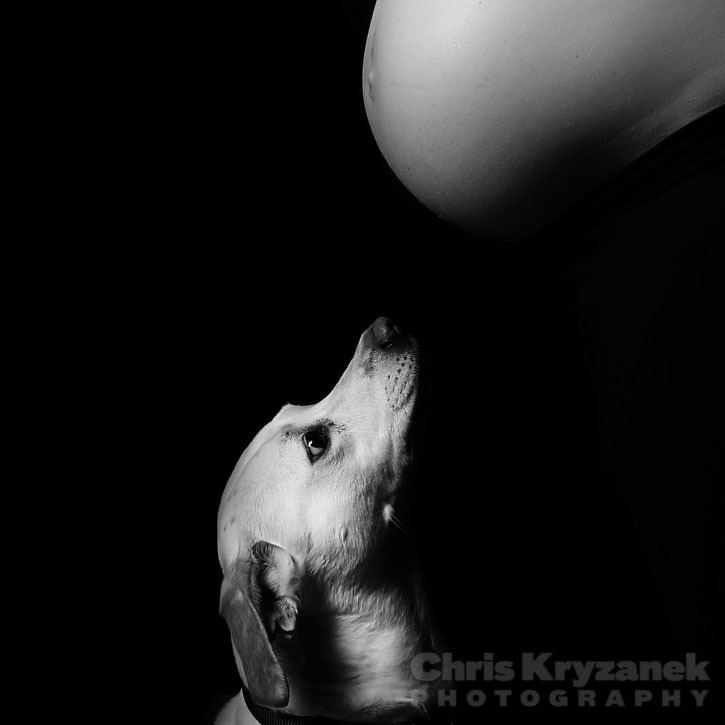 Having a maternity session allows you to preserve the memories for a lifetime. When your child is an adult you can both look back at the time you were carrying him or her. A protruding belly with a child inside is a beautiful thing. 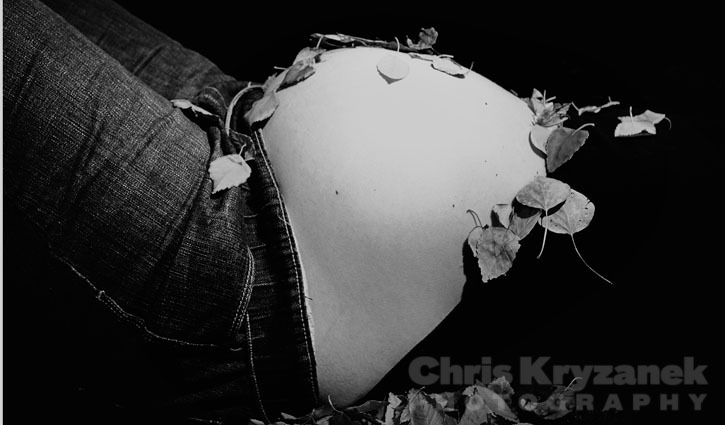 The best time to create maternity images (around 7 to 8 months), is also when you are less self-conscious about your stomach sticking out and more likely to enjoy the session. This is the time to have fun! 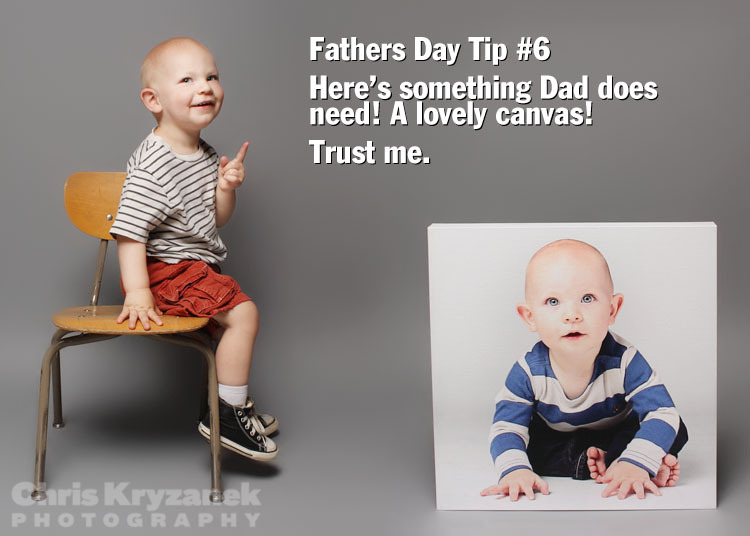 There are many chances for creative images, whether they are posed or more of a candid style. This is a great session to include your husband, other siblings, and pets to show the powerful bonds that are building. These are images that cannot be duplicated at a later time. So, embrace the glow and let's create some beautiful images before the moment is gone. 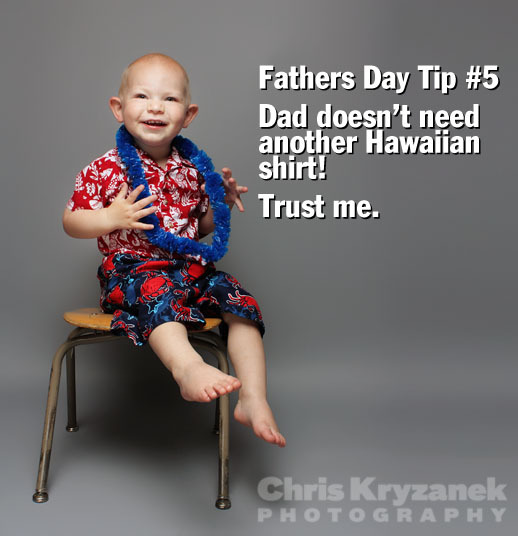 Instead of avoiding talking about the cliche gifts for Fathers Day that dad usually gets, it's time to see what dad really wants, by first showing what he doesn't want. 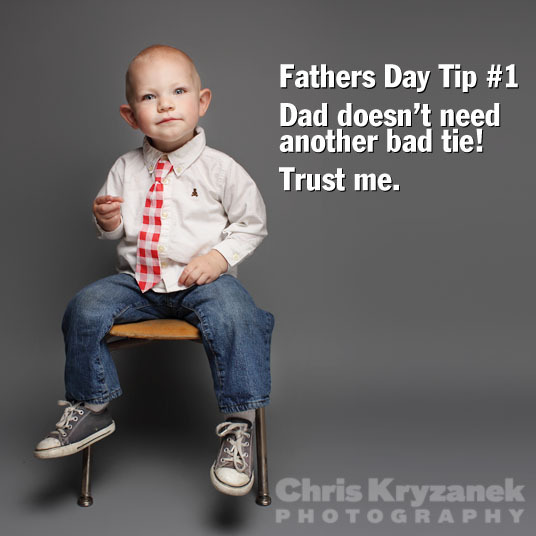 Nope, it's not another bad necktie. 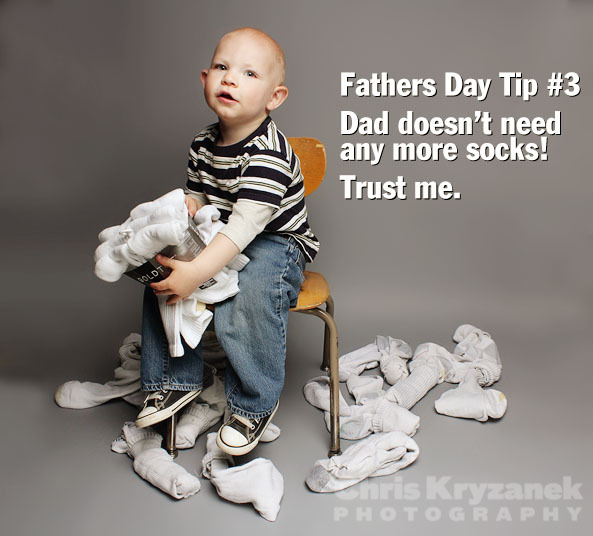 Does dad need more socks? 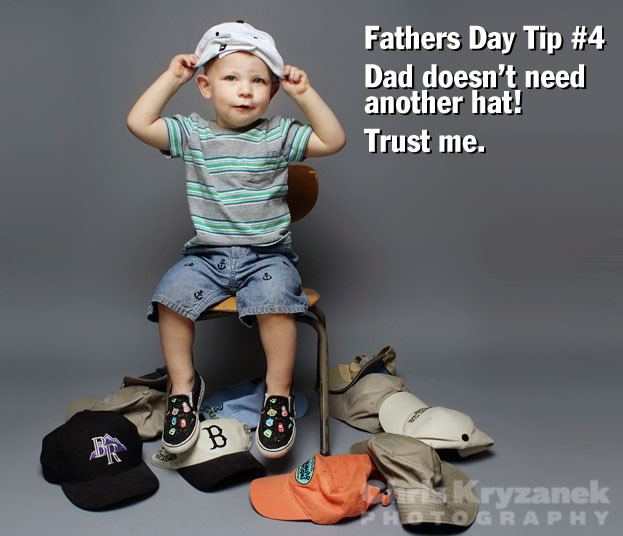 Maybe, but that's not what he wants for Fathers Day! Again, not another baseball hat! Ahhhhh, a lovely canvas. Now we're talking. 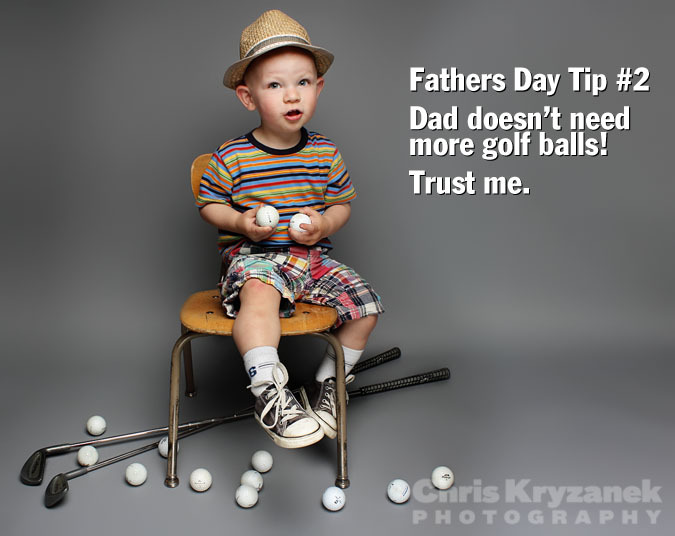 So, my advice is to avoid the old and tired cliche Fathers Days gifts for something dad really wants. I've always been someone who's embraced new technology with regards to photography. Clearly these days we live in a digital world with our photos living on facebook or instagram rather than on your wall, or on smartphones rather than in your wallet. 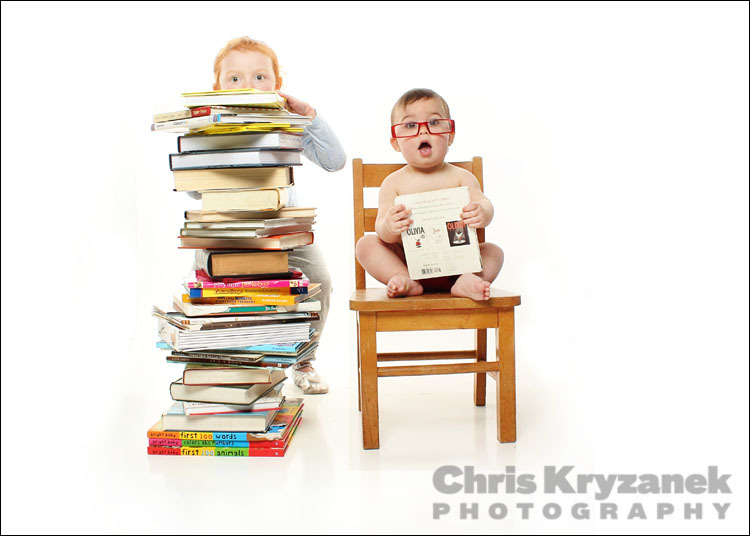 Because of the digital world, it makes sense to think all you would ever need is a CD of images from a photography session. 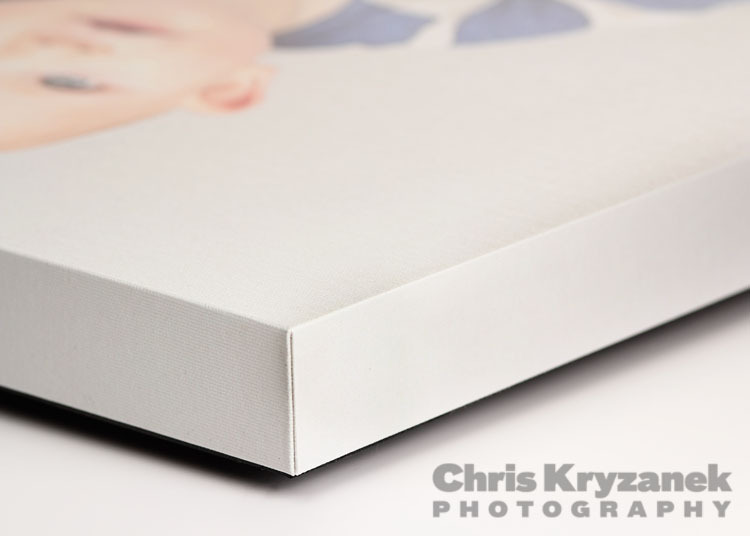 It might sound odd, but I believe that the print is more forward thinking than a digital file. Thinking back about technology there's always been the issue of older technology not working in the future. No one uses floppy disks, or ZIP disks these days. CDs & DVDs are still used, but Apple no longer puts an optical drive in their laptops (trust me they are a forward thinking company), so I would expect that technology to go away. Even CDs & DVDs have a life span, so even if you have a computer with a drive, the CD or DVD might no longer be readable. USB flash drives are becoming the new standard, but I've experienced USB flash drives fail. Even if files are on the computers hard drives, those drives can and will fail at some point. All of this is the reason for backups, or saving files to the cloud. Even if it is not an issue while it's maintained under your care, what happens when it no longer is? Will your family maintain and store your digital files long after your life is over? With all of this, it's even more unlikely in the future that there will be photographic discoveries in the attic for future generations. It's unlikely future grandchildren will find an old CD, and be excited when they have no device to play it, or go through the effort and then find it unreadable and go any further. 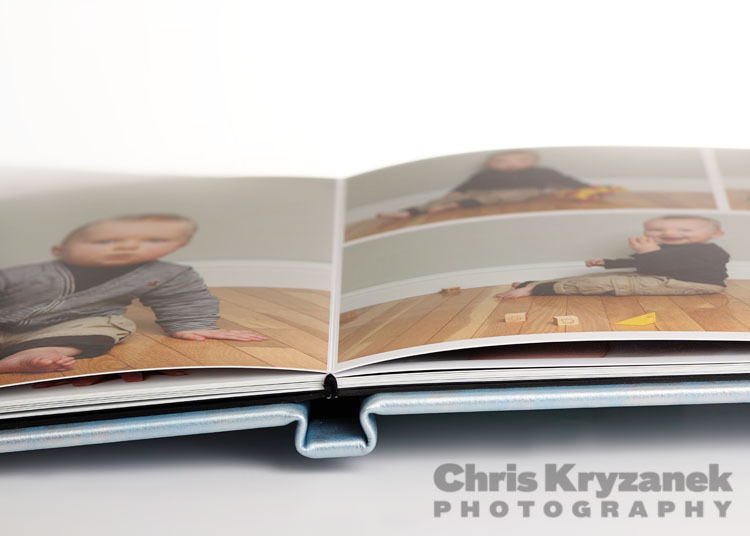 Now consider how a print, canvas, or album will always be accessible in the future for generations to come. Why would you settle for anything else? They say that two's company, and three's a crowd. I say that three's simply more fun than two! 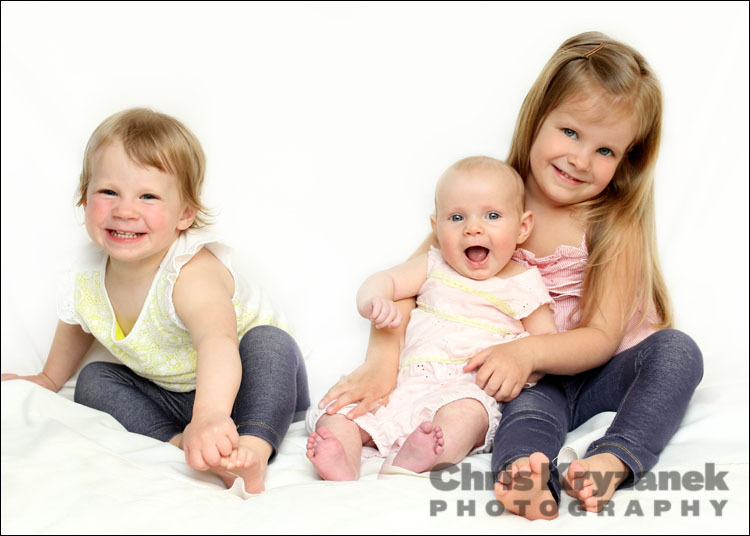 This recent session featured a three-month old, a toddler and a four-year-old: The Three Sisters. 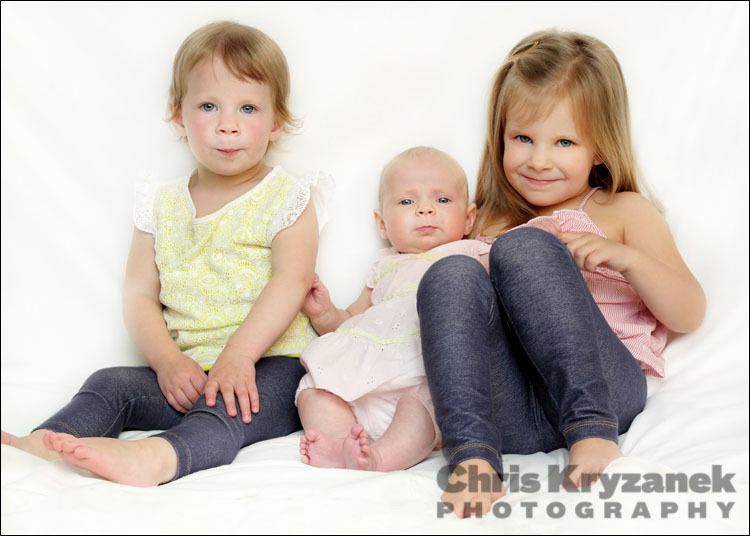 During the session, there were lot's of different methods used to get the attention of the three girls, by both me and the parents. With the wide range of ages, certain tricks worked on one, and not the others. 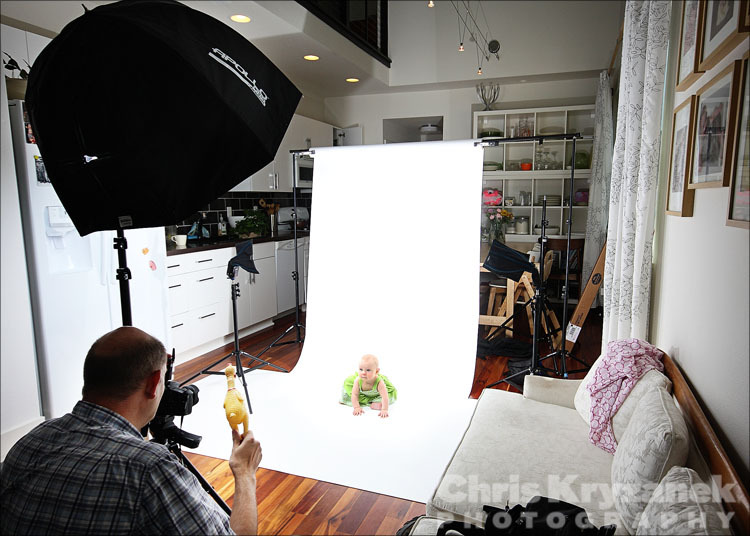 When parents are involved in the photoshoot, they soon see that it can be a lot of work. Also, there's a lot of chaos at times, but that's just par for the course with little kids. So, when the photos are later shown to the parents, one of my favorite comments is "wow, I didn't think you would get that". Once again it's the magic of 1/200th of a second. Overall, a very fun session, with three great girls. The above photo is not one that I took. Instead it is a photo of my mom and me. 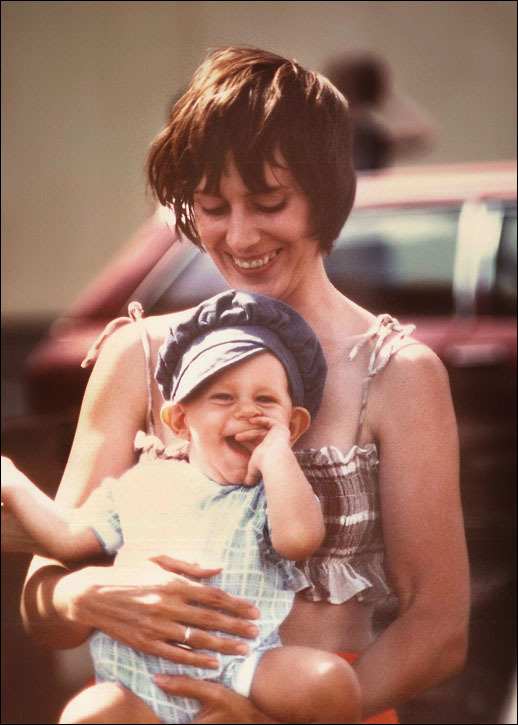 It is one of my favorite photos that I have of myself as a baby, or toddler. Why is it my favorite? Simply because I see the happy expression on my face, and my mom looking at me with an equally happy expression and huge smile. I have the photo framed in my boys bedroom. In fact, it is the only way they know my mom. She passed away in 2007, which was a year before I met my wife Sara. So, for her and my two boys they only know my mom from photos and my stories. 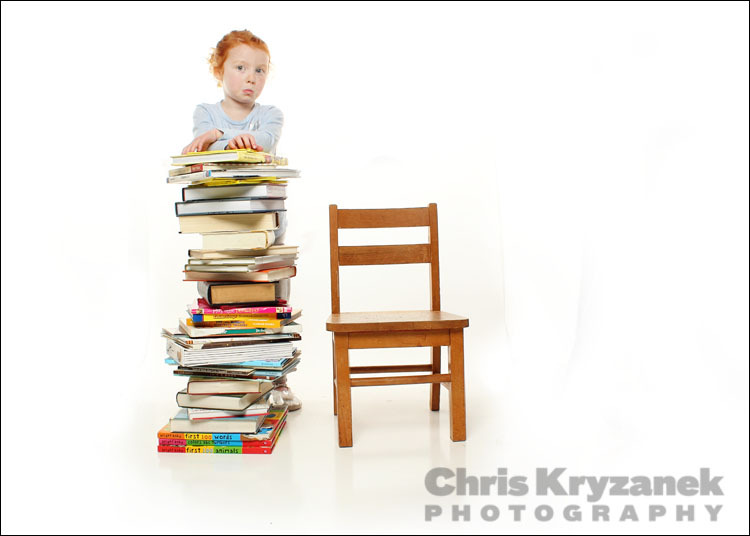 Besides being "The Photographer", I am often just "Dad with his camera". It can be a challenge for the one behind the camera to also be in front of the camera. That means that often there are more photos without the one who take's the photos. Sure, there are tricks and devices that make it easier for everyone to be in the photo, but it's likely that there will still be more photos without the photographer in them. Last weekend, we were out for dinner as a family. Afterwards we went for a short walk (to enjoy the nice Spring evening), and to let the little ones run around to burn off some energy. I liked how the sun was lighting up the side of this building. I knew that the odds of us all getting in the photo wasn't going to happen, but I decided that I wanted to be in the photo. 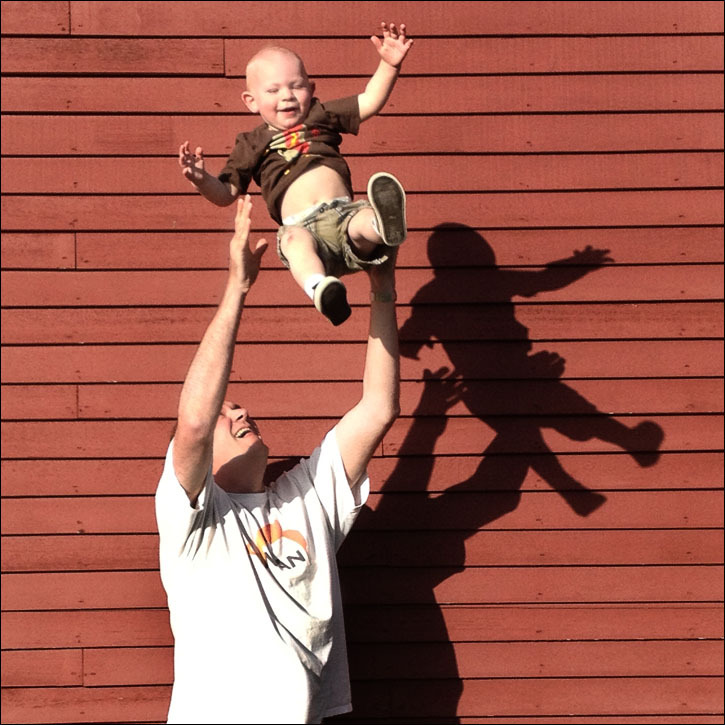 I asked Sara to shoot away as I tossed my son into the air. I love the photo that she took. The short message that I want to pass along; be in the photo with your kids. You might never know how important that photo might be in the future. 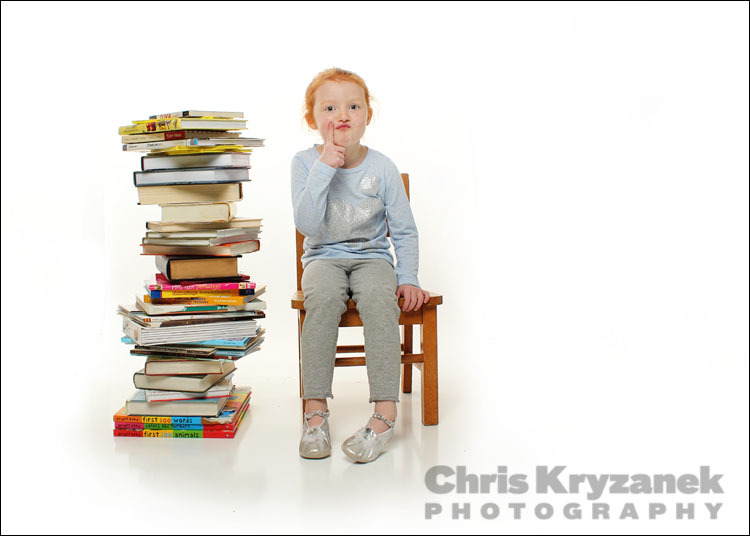 While books can be for all ages (some very serious, and some not so), I wanted to keep it real once again with props in this photography session. 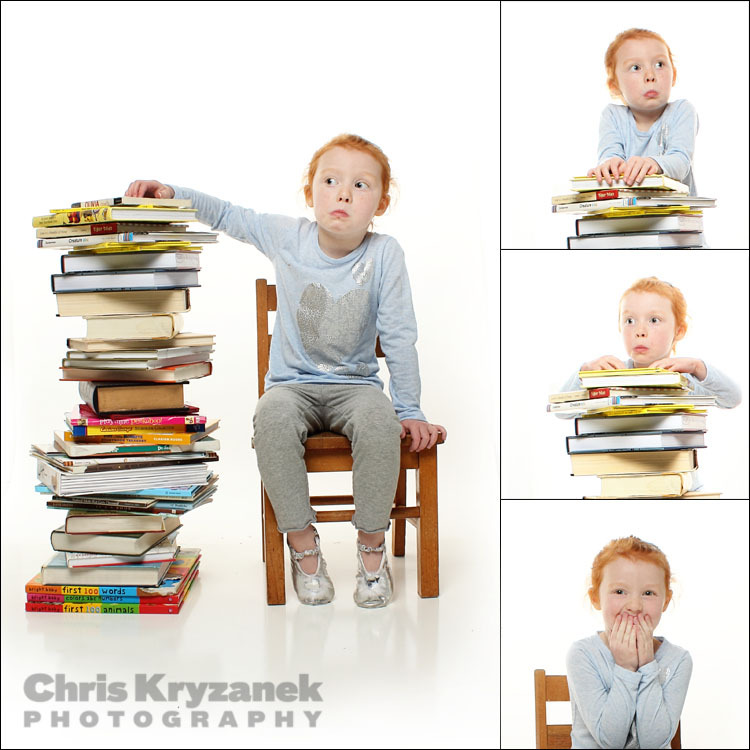 By the look on her face, a little shock at this massive reading list I created. Certainly not the same smile as in my previous keeping it real session with tools. Plenty of expressions and deep thoughts going on here. I believe that's simply from keeping it real. No fakery with saying "smile" or "say cheese" and getting fake smiles. Trust me, there were real smiles. Some were hard to keep inside. Of course it wasn't all fun and games, so a serious tone can sometimes come over the subject. In that case I usually find it's best to use a few secret weapons (keeping it real once again), or as a last result bring out the librarian to give an example of how it's done.